When working with youth, there of course must be a food and fun component! Snacks are provided at all events. Fun comes in many forms, but none of them are ‘screen time’. Our fun involves games such as Ultimate Frisbee, Super Simon Says, Dodge Ball, Basketball, board games and puzzles. With these activities, we work on team building, listening, communication and interpersonal skills. The Work Skills program targets specific skills, attitudes and ethics youth will need to be successful in the work force. Youth receive hands-on training with activities such as our Entrepreneurial Garden Program and Work Team Program. 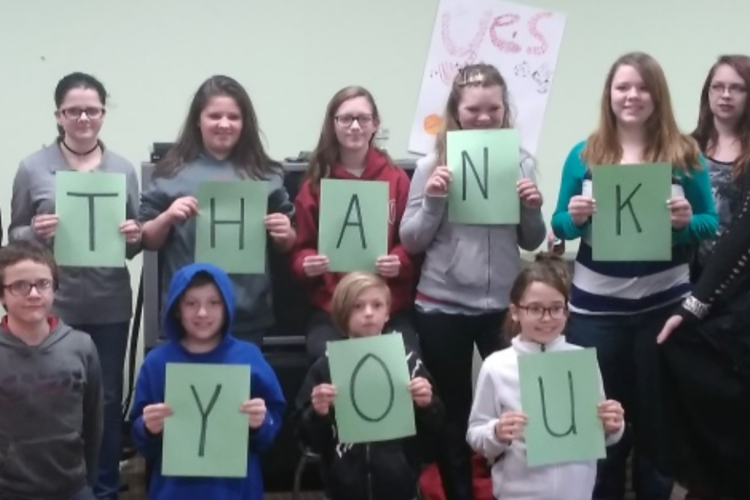 YES youth raised over $10,000 in our first year from fundraising activities such as: face painting booths, a Fall Carnival, garage sales, car washes, assisting the elderly on walks, and Pizza Ranch Work Experience Nights. The Life Skills program teaches critical skills in areas such as cooking, cleaning, personal hygiene, and money management. Our local schools no longer offer Home Economics classes and math classes can only offer quick overviews of various life skills which are often not enough for youth to internalize the concepts and generalize them to their personal lives. YES seeks to fill this void by providing instruction and practice on skills in these areas. The Arts program encompasses drama, music and art of all kinds. Our music program includes Battle of the Rockbands (Guitar Hero type) events, entries into local talent shows, karaoke, and videos. Our drama program will include plays, dramatic videos and other forms of drama. YES youth are also receiving weekly art classes through the Copper Village Museum and Arts Program.